Condor - Carl Stahl - løftegrej, stålwire, kædesæt, rundsling m.m. At Carl Stahl A/S, we developed the premium product line Condor. This assortment meets the highest demands within pricing, quality and efficiency and is designed by professionals to professionals. Sturdy design and unique quality are the trademarks of this premium product line. The products are suitable for demanding use as well as everyday jobs. 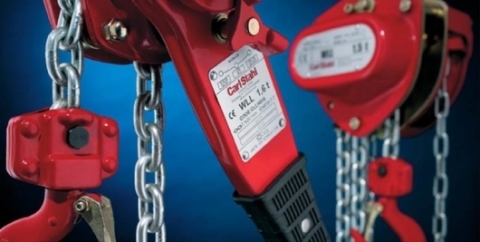 CondorLift hoists are compact, lightweight hoists, which are ideal for all kinds of lifting jobs that require strength and quality. CondorLube is ideal for off-shoe use, shipping, food production and other industries where high value is placed on environmental protection, employee welfare, and safety.